Regular mailings to your current and prospective clients are important for keeping your name in their psyche so that they’ll think of you when they actually need a loan. To that end, regular newsletters for loan officers, when done right, can be an asset to your business. The content should be brief, easy to read, and provide a mix of educational info and interesting content for your audience. Keeping these things in mind, here are some ideas for newsletters for loan officers. Create a brief, informative piece that explains something about the loan process. An explanation of a credit score’s effect on a loan application or how the down payment plays into the overall scenario are two ideas. Create a timeline of an average loan app with a brief explanation of each step. The idea is to provide information that is relevant to the loan process and that can be somewhat easily explained. Loan information may be informative and appreciated information, but not everyone is going to hold on to your newsletter for it. Including content about the area helps you connect to your clients and gives them useful information to post on their fridge. A list of regional events happening in the quarter is always a good choice. If you live in a sports city, post a schedule for the favorite team. Restaurant reviews with schedules and sample menus are something that many people will keep. This is tricky, but important. You want to connect with your client base, but keep a careful balance so you don’t come off as self-centered. Talk about new employees, or remodeling that you’re doing to the office. Say something about the holiday and extend greetings to your audience. Be mindful of not sending your newsletter too frequently. A quarterly edition will help keep it from being an instant throw-away. 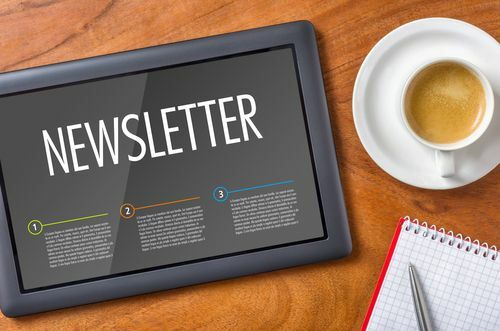 With the right content and timing, newsletters for loan officers can be an effective addition to your regular mailings.